Stitch by stitch, Fadwa Alkak is creating a new life in New Zealand. Fadwa Alkak arrived to New Zealand as a former refugee in 2018. Fadwa is a teacher, a sister, a sewer and a Kiwi. She arrived in Wellington as a former refugee in 2018. Getting familiar with a new city can be daunting. 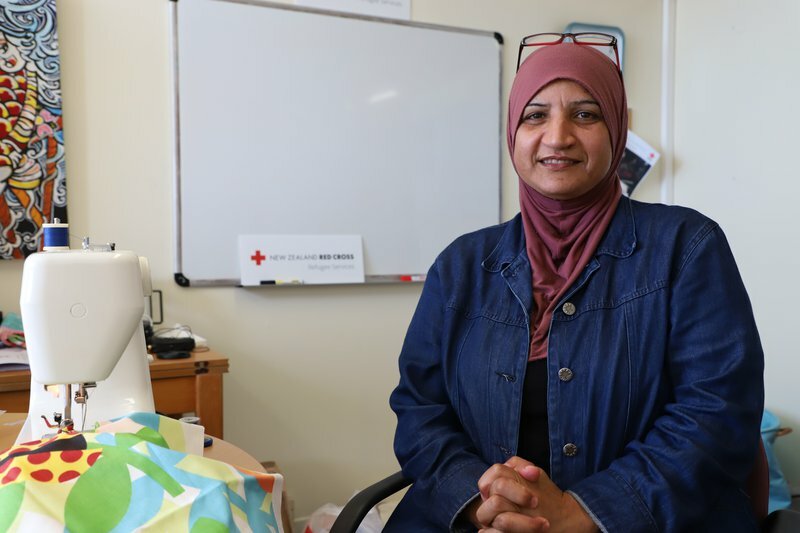 That’s part of the reason Fadwa says receiving a sewing machine generously donated to Red Cross by a member of the public was a “miracle”. Receiving a sewing machine which was donated to Red Cross has been a turning point for Fadwa. 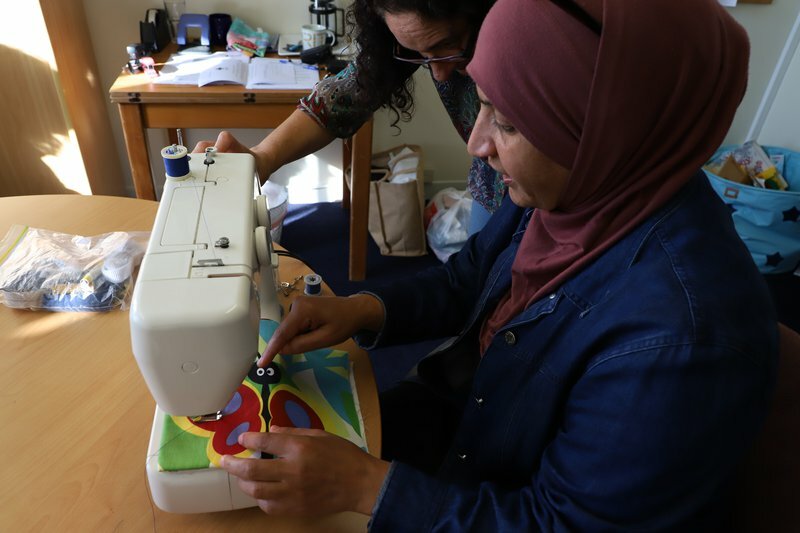 Cris Mirkin, Pathways to Employment Assessor/Advisor for New Zealand Red Cross who has worked closely with Fadwa, says that receiving the sewing machine has been a turning point in Fadwa’s Kiwi journey. “Something changed when Fadwa received this sewing machine. It was like inspiration for her, lots of positive things came after it,” Cris reflects. Driving on the roads of Wellington is a long way from life in Lebanon, where she and her family spent years seeking refuge from the protracted conflict in Syria. Not long after, the war began. Fadwa didn’t know then, but the conflict would change her life forever. We moved from city to another city. Even from area to area, from street to street. In the early stages of the war in Syria, Fadwa and her family were internally displaced for almost 12 months inside the country she had once called home. “We moved from city to another city. Even from area to area, from street to street,” Fadwa recalls. Like many people, Fadwa and her family had not anticipated how protracted the conflict in Syria would be. Then in 2018, Fadwa received news that she would be coming to New Zealand under the refugee quota. Fadwa was forced to leave her home behind when she fled the conflict in Syria. In New Zealand, Fadwa has recently found her way back to her teaching career. She currently volunteers as a teacher aide-equivalent with MClass Multicultural Learning and Support Services, a natural progression for Fadwa who is a passionate and skilled educator. To help coordinate her voluntary teaching activities and make life a little simpler, Fadwa is on the lookout for a laptop. If you or someone you know has a personal computer they are keen to donate, contact us at communications@redcross.org.nz. Former refugees arrive in New Zealand with skills, passion and resilience. You can help make a house a home by donating goods to former refugees in your community. You can also become a Refugee Support Volunteer or offer a new Kiwi an employment opportunity.